I need some help from the readers out there in terms of how to better light my 150-gallon, 30" deep (surface to substrate) tank. The tank is 48" x 24" footprint. The lids are the "flip-lid" style, glass. The tank and stand are nestled into what would have been a clothes-closet with the sliding doors. I need to find a solution to use 24", 20-watt, T-12 Phillips "Daylight Deluxe" fluorescent tubes. I chose this model because I want something with a high light output and high color temperature to show off the yellow in my Tropheus. I can NOT mount any lighting ballast or housing to the bulkhead above the tank as ventilation equipment runs through there... essentially I need something to basically "sit" on the glass lids, much like the makeshift lighting I have now which are two light hoods from a 55-gallon setup. I was wondering if I could use a "2 Ft. 2-Light Residental Fluorescent Wrap" on each side of the lids, or even a "4 Ft. 2-Light Residential Fluorescent Wrap" across the entire span of the lids? I would have to buy models with AC electrical cord as again, I cannot hard-wire anything into the bulkhead above the tank. What do you guys think? SEE IMAGES BELOW. Click thumbnail to see full size 1600 x 1200 images.  Images hosted by PhotoBucket. Your signature contains too many lines and must be shortened. You may only have up to 4 line(s). I'm currently doing something similar with my own tank. I got ordiary shop lights, wired them together with a power cord, and am in the process of putting them in a wooden box. Is the closet too tight for 48" fixtures? The closet is 52", wall-to-wall. My light hood I'm building is 50" long. Should fit. Any other particular reason why you want 24" fixtures? I was going to go 24" since they would fit onto the glass instead of sitting on the centre "brace" of the black trim (see top of tank), but I have been convinced on a local forum to go with a 48" ballast and 40-watt bulbs since they 2 x 40-watt bulbs will give more light than the 4 x 20-watt bulbs. Yeah, that's what I was thinking. The ends of the tubes don't light as brightly as the middle. Don't use T12 lighting if you are buying a new fixture. T12 fixtures are being phased out. Get the 48" T12. The tubes are more efficient and cheaper to buy ($4.00 versus $7.00, at HD). You can suspend the light from the bulkhead. There is wood beneath the sheetrock, that you can attach to, without affecting the ductwork. You could run with one Daylight and one Natural Sunshine, especially if you want to accent the yellow. The other possibility would be to mount the fixture inside a piece of eaves through. http://www.aquariumcents.com/index.htm has an article on how to do that. The T8 fixture should fit right into a piece. Then it could sit right on the tank. Did you mean T8 when you told him to get T12 after saying T12 was being phased out? I ended up going with the "Lithonia Lighting, 4 ft., 2 lt." model shop light, using 2 x 48", 40-watt, Philips "DayLight Deluxe" tubes. It uses T-12 bulbs which is going to set off bells and whistles for those who told me to go with T-8, but oh well. When I left the message for my girlfriend at her work for what to pick-up, I hadn't known about the T-8 at that time. Anyway, I am VERY satisfied! TALK ABOUT LIGHT! HOLY COW! I can actually see my fish and details in my rocks and my fish and everything I could not see before! This was the best $50 I've spent on fish equipment in a long time! That fixture will serve you well, and is cheaper to buy than a T8 fixture. Actually, HD has a good buy on those tubes, a 2 pack for about $6.00.